When placing a property listing on the Internet for promotion (that is in the industry portals and on your website), the main focus should be to create engagement from and with the target audience. A property for sale or for lease when advertised online should specifically be focusing on the target audience of buyers or tenants as the case may be. The message, the keywords, and the images should all match the target audience comprehensively. Generic advertising really doesn’t work these days and should only apply to ‘open’ listings where the client has not given you exclusivity. Some agents will not list ‘openly’ and in many respects agree; ‘open’ listings are a last resort. Unfortunately some agents can for a number of reasons only list ‘openly’. That is then a problem that will hold back results and growth of market share for that agent. You cannot and should not overly service an ‘open listing’ given that you do not have the full commitment of the client to stay with you or listen to you as things proceed forward in property promotion. Other agents will be ‘courting’ the same client at the same time, and therefore confusing the promotional strategy and negotiation potential. What I am flagging here is that every quality listing and top property should attract more effort from a marketing perspective. You can see when a listing is well structured for promotion and comprehensively placed in the media channels we use. ‘Exclusivity’ is the only way to do that. Understand the words of attraction that apply to the headline of the advertisement. Generally the location and the property type will feature in the headline. To understand how headlines can be very effective in attracting enquiry, look at the local newspapers to see how the editors create interest in an article. The same rules should apply to property advertising. Research the online keywords that apply to selling and leasing property locally. Those keywords are descriptive and most frequently used with the search engines when people are looking for property to buy or lease. Understanding the buyers and the tenants enquiring for properties today will help you to determine those keywords. The words used in their searches can be fed into the advertising layout and copy for each listing. Prepare the advertisement in draft form so that you can collect and focus on the factors of attraction relative to the listing. Have your clients agree with the choices of attraction and the layout of the draft advertisement. When creating an advertisement, err on the side of simplicity and promote the features; complex advertisements are usually not read and cost too much in the campaign. Write a blog about local property activity and in doing so provide helpful information that assists your targeted buyers and tenants. The blog should not feature property advertisements but rather information about property activity and changes. This informational process can support the marketing of properties on your main website and also within your newsletter or email marketing process. Write articles and place them on high profile article submission sites. The articles should be helpful and informational about property locally and stay within your preferred property type. 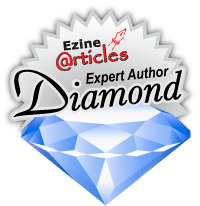 The articles can be linked back to your website and personal profile on your blog. 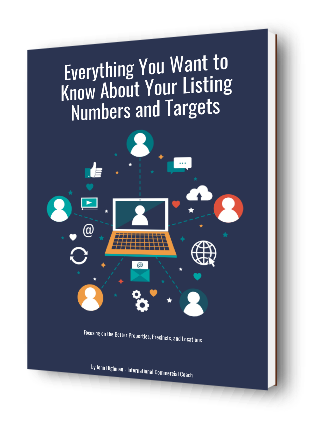 Put out a newsletter weekly or fortnightly to your database of buyers, investors, and tenants. You can split the newsletter into property locations or property types relative to the segment of the database you are connecting with. Link that newsletter to your website and blog to encourage hits and interaction with interested people. Social media can and should be included in your marketing efforts online, through emails, and with your database. Establish personal profiles on Facebook, LinkedIn, Twitter, and similar high traffic social media portals. Post informational material and link back to your blog as much as possible. For every quality listing, create 3 formats of advertisement so you can publish in different portals and attract more hits from the listing. Don’t repeat the same advertisement on all the portals and your website; create different layouts and advertising copy. Variety in advertising copy will help you attract better levels of inbound enquiry. Every quality property should be supported by vendor paid marketing funds as well as a professional photography and video package. You can easily see the differences in ‘online hits’ when it comes to properties that are professionally promoted in this way. The final advertisement should always be approved by the client prior to publication.